The Institute of Mathematics of Faculty II - Mathematics and Natural Sciences - is an application-oriented research and teaching institute of Technische Universität Berlin. We offer courses in mathematics, mathematical economics, technomathematics (both as Bachelor and Master) and scientific computing (only Master) as well as extensive mathematics services for students attending other courses. 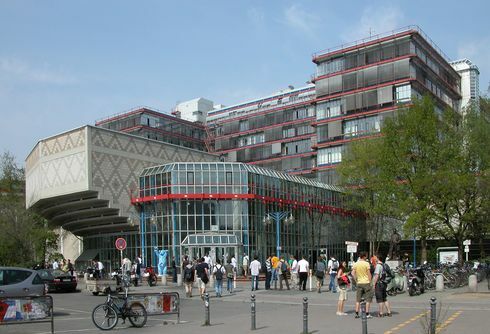 The Institute of Mathematics at Technische Universität Berlin distinguishes itself through its diverse cooperations: within Berlin, nationwide and internationally. Hosting and participating in DFG mathematical research training groups (DFG-Graduiertenkollegs), in DFG collaborative research centers (SFB) and in DFG research units, acquisition of ERC grants as well as various prizes and awards which emphasizes the high level and international reputation of the institute. The Berlin Mathematical School (BMS), is a joint graduate school of the mathematics institutes of the three major Berlin universities, and is based at the Institute of Mathematics at TU Berlin, being funded within the framework of the German „Initiative for Excellence“. The Institute is strongly involved in the Research Center Matheon "Mathematics for Key Technologies", an internationally renown Center of Excellence in which nearly 200 scientists pursue application-oriented and theoretical research.